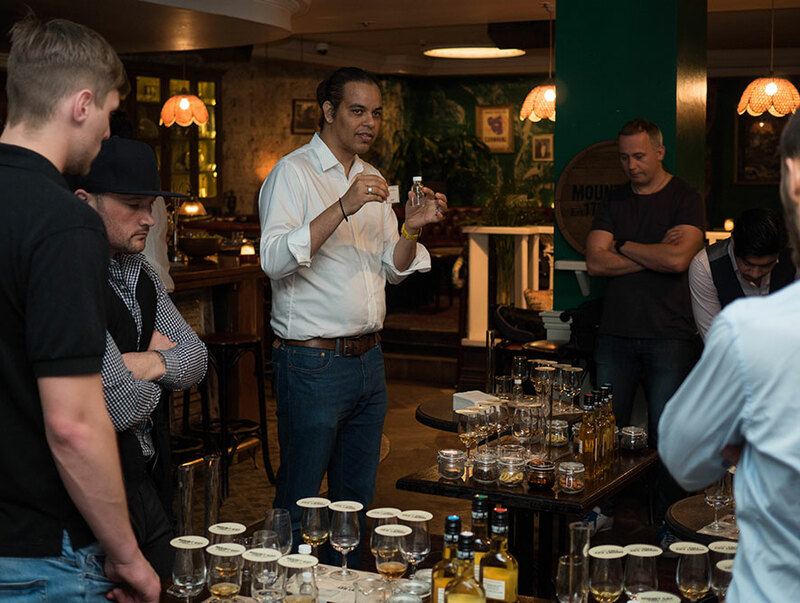 Mount Gay’s Brand Ambassador, Miguel Smith recently visited Australia to give local bartenders a taste of what it’s like to be a master blender, hosting blending sessions for all those brave enough to have a go! Miguel shared with us that he fell in love with rum a long time ago and learned his craft whilst he was constantly pursuing his love for rum. When asked what makes Mount Gay Rum so different? Miguel explains “there are several very interesting unique things about Mount Gay Rum that nobody else can match” apart from it being the oldest rum in the world. Mount Gay Rum was being produced in the late 1600’s but the distillery was officially established in Barbados in 1703. Miguel explains that “Mount Gay supports and protects traditional rum producing methods. It’s water source is unique. It’s not just any water, its Barbadian water with a high quality mineral source and it’s the only distillery to have its own water source. The water used in Mount Gay rum passes through limestone and oceanic sediments, so its mineral content is unique, making the rum so palatable”. Hence, Mount Gay Rum will always have production limitations due to its unique water source. He added “There are no age statements, its ready when its ready”. 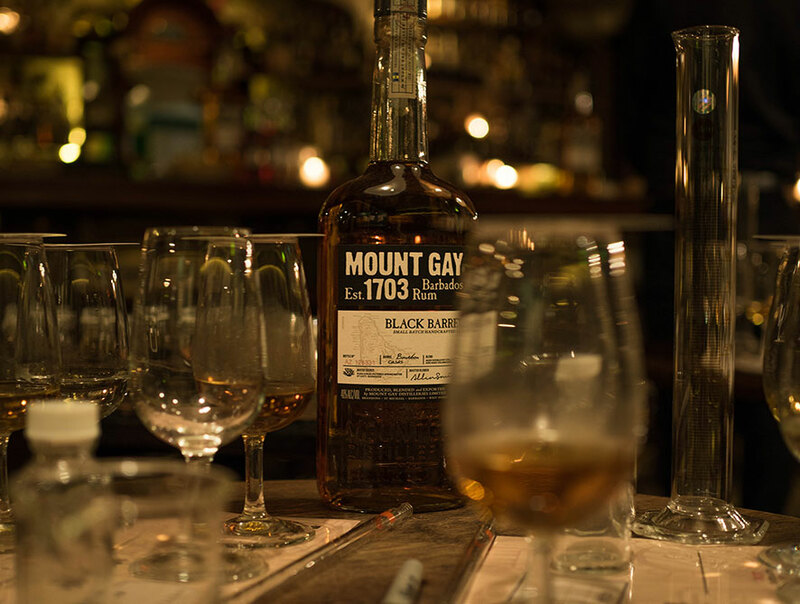 Mount Gay is the oldest most storied rum in the world. For over 314 years Mount Gay has remained true to their signature style of aging and blending single and double distillates for a distinctive aromatic character and smooth ﬁnish. Clean and aromatic in contrast to Eclipse’s rich smokiness, Silver offers a balanced, mellow harmony of sugar cane syrup and banana, infused with notes of peppermint and citrus. Eclipse is the reference for character, body and aroma by which our Master Blender Allen Smith uses to blend every variety of Mount Gay Rum. For many rum enthusiasts Eclipse is also the reference by which all rum should be measured. Eclipse has a brilliant golden amber colour and a luxuriously complex aroma. A unique small batch, handcrafted blend rum from Mount Gay. 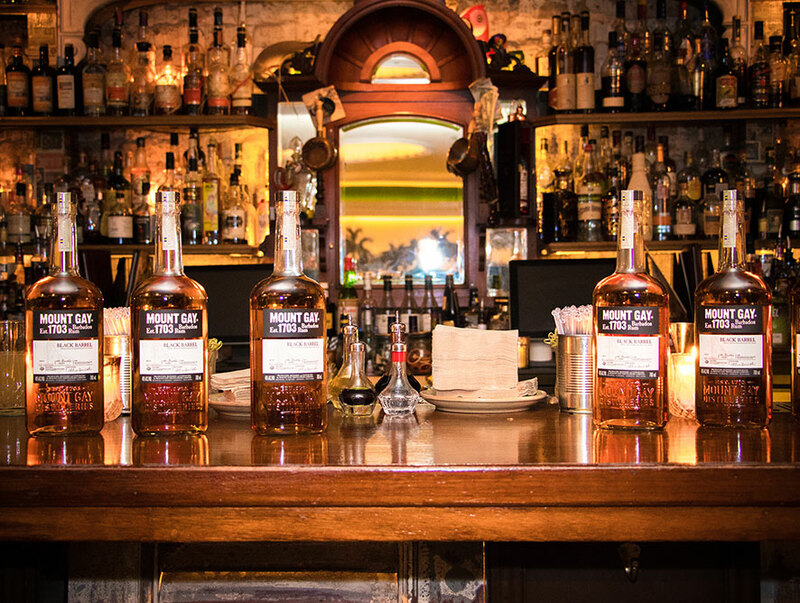 Like all Mount Gay Rums, double pot and single column distillates are aged separately in their own toasted oak, whiskey barrels until they reach maturity. Double distillates are complex and intensely aromatic, more robust than single column distillates, which provide light floral notes. When our rums have matured, Master Blender Allen Smith mixes a higher proportion of double distillates to create the Black Barrel blend. This blend of distillates is then aged a second time, in deeply charred Bourbon oak barrels. This is where the magic happens, the wood and the rum meet and mingle and make beautiful notes together. Toasted wood, oaky vanilla, sweet caramel and peppery notes are brought out in this finished barrel. Mount Gay 1703 is blended entirely from the treasures of mount gay’s prized reserves, each one created from the golden sugarcane and coral filtered water of Barbados and then aged for 10 to 30 years, 1703 is a masterpiece of utter sumptuousness, a nectar of the oldest rums created by the oldest rum house in the world. Miguel explains that there is something to be said about a brand consistently reproducing good quality rum for as long as Mount Gay have been producing rum. Mount Gay is committed to continue to produce high quality rum as long as Bartenders pressure them into creating liquids of integrity. Miguel remarked,” We always look retrospectively in order to look forward, with feet firm in the ground and eyes in the sky. We have only had 20 expressions in 300 years, but it must fit into what we want to produce, and that is, to continue producing the best rum in the world”. In fact, Mount Gay Rums are the best and most awarded rums in the world. So, what’s next for Mount Gay Rum? The answer is simple, they want to continue building on their success. That’s exactly how we felt after a ‘rum conversation’ with Miguel!